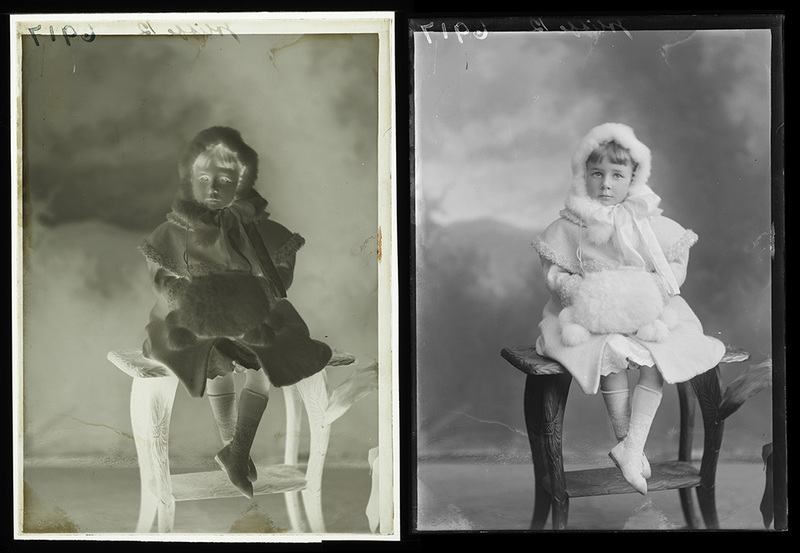 Te Papa has a collection of nearly 4,000 glass plate and film negatives taken by the Wellington photography studio Berry & Co. The studio was founded by William Berry in 1897, and operated in Cuba St until 1931. The negatives are mainly portraits – of families, children, men and women, soldiers in uniform, the occasional pet – and are a wonderful resource for those interested in our history, or in the history of fashion. 1,479 of our Berry negatives had been digitally imaged and put online over the past ten years, leaving us 2,397 more to photograph and upload to the web. We’re keen to make more of this great historical resource available online, so we have started a mass imaging project, to photograph them in batches of 100 per week. At this rate, it will take about six months to do them all. Joliffe 12, circa 1920, Wellington. Berry & Co. Purchased 1998 with New Zealand Lottery Grants Board funds. Photo Michael Hall. Copyright Te Papa. Negatives can be difficult to ‘read’, so creating a positive digital image makes it easier for us to improve our catalogue data, for example by using clothing details to estimate the date the photograph was taken. The negatives are all kept in our cold storage vaults, as low temperatures and humidity slow their deterioration. They have to be brought up to room temperature slowly (acclimatised), otherwise there’s a risk that moisture will condense on the surface of the negatives, and damage or destroy the image. 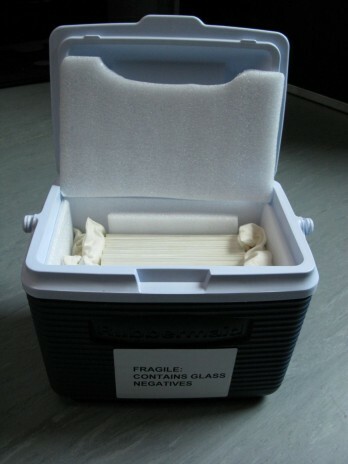 We are using small chilly bins to acclimatise and transport the negatives. These are handled very carefully, but as additional protection against bumps which could crack the glass, the bins are padded out with foam and pillows. One of the transport chilly bins. The negatives are stored in archival paper sleeves, to protect the surface of the image. Photograph Anita Hogan, copyright Te Papa. The negatives are placed on their edges in the chilly bin, as this is the way they are designed to travel. The bin is then left closed for five days, so the plates can slowly acclimatise to room temperature. Once the plates have acclimatised, we move them to the photography studio and they are photographed on a light box by one of our imaging team. Photographing a Berry & Co glass plate negative. We use a Phase I P40 camera and Schneider 110 lens, used with extension tube, with a 40MB back. This gives us a 38MB digital image, which is our ‘access master’ size. Photograph Michael Hall, copyright Te Papa. 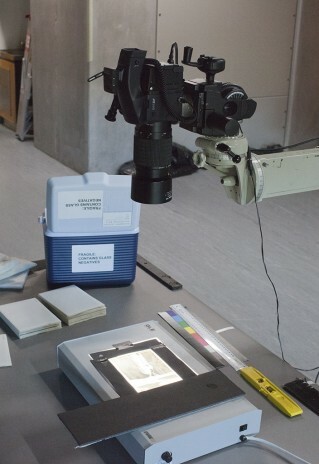 When the photographs have been taken, the negatives are moved back to the cold storage vault. As one set of negatives acclimatises another is being photographed, so there are always three sets of chilly bins on the move. So far we’ve photographed 500 of the negatives in the project, and they are being uploaded as we go. Here’s a small selection. I’ll be putting up more as the project continues, or you can keep an eye out for new additions on Collections Online.